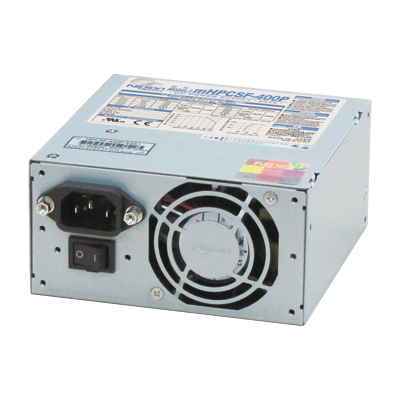 Medical standard approved, Low Power Consumption and High Efficiency SFX Power Supply ! High efficiency with synchronous rectification circuitCompletely independent voltage-stabilizing circuit is mounted for all outputs. Min. load current is 0A for all outputs. Safety standard approved (IEC/UL/CSA)By building in the thermal-sensing variable speed fan, noise reduction can be realised. Heat-related issue for CPU can be settled with fan speed changeover switch. EMS immunity Electrostatic discharge to meet EN61000-4-2. Insulation AC input - FG/DC output: 1500 VAC for 1 minute,AC input - FG/DC output: 50M&brvbar;&cedil; min.